No matter which publishing path an author chooses, Preparing the Finished Book for publication is the first step. It’s a big one too. Write the book, send the polished manuscript to an editor, critique partners, and beta-readers, write the tagline and blurbs, sign a contract for cover art, and purchase ISBNs. Front and Back Matter come next. What is front and back matter? Front and back matter are the pages before and after body of the book (the actual content or story). Back Matter consists of an About the Author page, an acknowledgements page, a list of other books by the author, and the opening or excerpt from the next book. As with front matter, not all items are required. Use personal preference to decide which elements to include. When her fingers aren't attached to her keyboard, Mellanie Szereto enjoys hiking, Pilates, cooking, gardening, and researching for her stories. Many times, the research partners with her other hobbies, taking her from the Hocking Hills region in Ohio to the Colorado Rockies or the Adirondacks of New York. Sometimes, the trip is no farther than her garden for ingredients and her kitchen to test recipes for her latest steamy tale. She is multi-published with Siren-Bookstrand and has a new self-published foodie contemporary series, Love on the Menu, in addition to her nonfiction books, Writing Tip Wednesday: The Writing Craft Handbook and Writing Tip Wednesday: The Writing Career Handbook, based on her informational blog series. Mellanie makes her home in rural Indiana with her husband of twenty-eight years, their son, and two cats. She is a member of Romance Writers of America, Indiana Romance Writers of America, Hearts Through History Romance Writers, and PASIC. If you enjoyed this book, please consider rating or leaving a review on the retailer’s website and/or Goodreads. Thanks! *Note that the social media links are live in e-book format. One click on the hyperlink, and the reader is taken directly to the author’s website, blog, etc. The print book version is the same except that the links are plain text. Whether digital or print, the bio gives the reader a personal look at the author, potentially generating more interest. An Acknowledgements page offers the author a special place to thank those who helped with research or other important aspects in the writing and production of the book. This differs from the Dedication, in that dedications thank general supporters and recognize those who inspired the story. Having a list of Other Books by the Author means readers have an immediate way to purchase more books. It’s a very easy marketing and promotional tool. Hyperlinks should be added to e-book format for a one-click path to the retail platform. For the KDP version of the book, use Amazon links to other books by the author. For Nook Press, use the B&N links, and so on. This page can and should be updated as the author publishes more books. Keep a list of buy links handy for a quick copy and paste when creating hyperlinks. 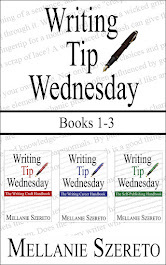 Some authors choose to include the opening or an excerpt from the next or another book in the back matter. Be sure to format that section the same as the content of the story. Formatting for e-books is on the agenda for next week! How about a quick review of hyperlinking to create those clickable links? To create a hyperlink to a website, highlight the source (author website address on the bio page). Use the Insert command to choose Hyperlink. Choose Webpage. The text in the Display box should match the highlighted text in the document. Add the web address in the Link To box and click OK. Repeat for each social media and buy link. These instructions are for Word for Mac 2011 and may differ slightly in other versions. Be sure to Save after each addition and test the links! Links can be removed by highlighting the existing hyperlink source and selecting Insert->Hyperlink. Click the Remove Hyperlink button. Check off item #6 on the to-do list! Front and Back Matter are completed!